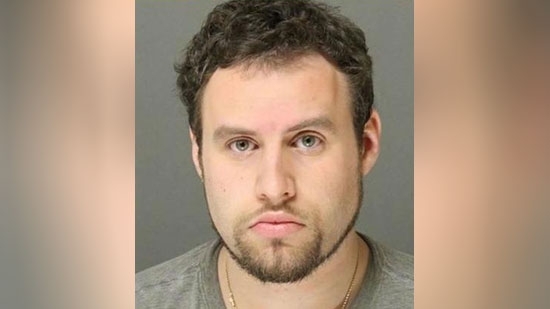 A New Jersey man is accused of performing a lewd act inside a public library that was witnessed by two girls. It happened around 7:20 p.m. on Tuesday, May 23rd, at the Hamilton Township Public Library in Mercer County. 26-year-old Mitchell Richtman of East Windsor was sitting in an aisle between two bookshelves watching a video on his phone. Two girls saw him committing a lewd act and told library staff. Police caught Richtman as he was leaving from the library's basement door. He is charged with Criminal Sexual Contact and Endangering the Welfare of a Child. A young giraffe died at the Lehigh Valley Zoo in Schnecksville, PA after suffering a neck injury. The six-year-old Masai giraffe named Ernie arrived at the zoo on Friday from the Kansas City Zoo. His 16-year-old father, Murphy, arrived a few days earlier last Tuesday. They were going to be part of a new African animals exhibit at the zoo. Ernie had become unusually aggressive when reunited with his father and injured his neck. He died Sunday afternoon. The Association of Zoos and Aquariums will help in the investigation into the giraffe's death. Two undercover SEPTA police officers were offered free heroin samples by a drug dealer Memorial Day morning in Kensington, they gave him a free ride to the precinct. 22-year-old Angel Rivera of Philadelphia is charged with possession with the intent to deliver and related offenses. He had 22 bags of heroin and a few hundred dollars in cash on his person. It happened around 10:30 a.m. The two officers, who were dressed down in scruffy clothes, got off the El at Kensington and Allegheny. They were approached by the Rivera who says, 'Looks like you're looking for something. How about a sample?' It tested positive for heroin and he was arrested.